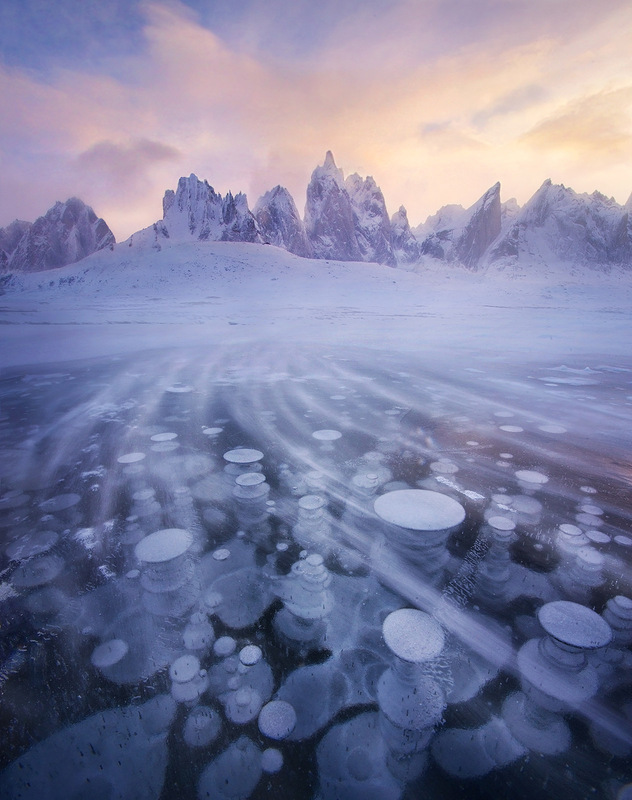 This photograph of ice bubbles and blowing snow on a lake underneath Mount Monolith and other peaks in the Yukon probably has the distinction of being the coldest one I've ever taken, with wind-chill temperatures around fifty below at the time. I had the privilege of camping out here for two weeks and getting to know the conditions quite well. Photo © copyright by Marc Adamus.